Haven't seen too many strains with the words 'black' 'gas' but have seen many with 'white', 'death', 'purple' and they seem to maintain consistency throughout different strains ... this one I can see why they named it black gas. Labeled at AAAA (but closer to AAA) its priced below 10$ a gram which matches the overall experience of it. Very well trimmed with no fan leaves, little stem and a clean, shiny, overall gloss to it. A real skunky, stinky, pungent, smell, but not pure skunk, it smelt a bit sweet but more rotten fruit than anything. Grinding it up just smelt foul but thats the kind of uniqueness we want to find in buds. It's completely the opposite of a 'traditional' smell both ground up and straight bud, very cool! 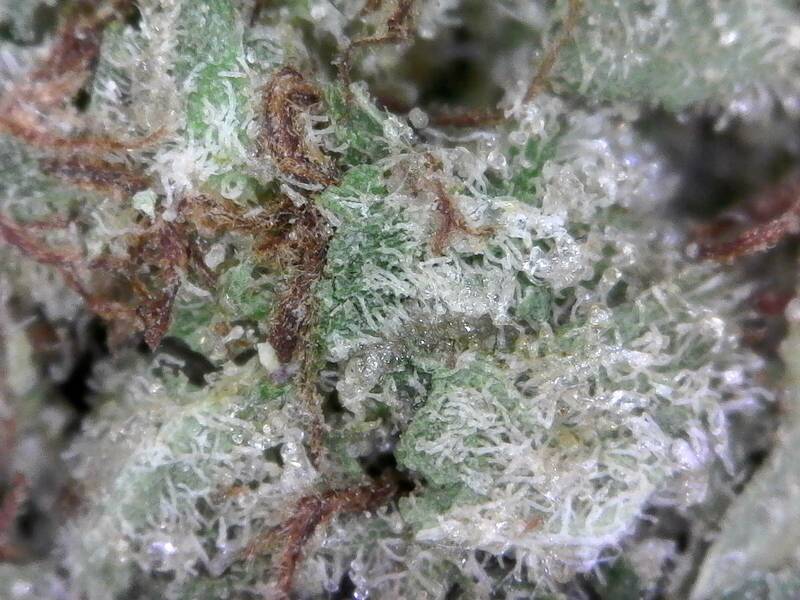 The bud was dense right to the stem and overall pretty crusted in crystals which gave way to the overall light color (almost no red hairs). Ground up maintained that light color and was surprised to how we almost got a full grinder off so little. That pungent, dirty smell maintained throughout with a slight smell of oak, wood, earth, etc. Vaping it was soooooo diesel. Tasted like wine in an oak barrel, very dark, BITTER, really a strong, consistent taste. Even leaving it to cook in the vape for a while just made it more whiskey-bitter, oaky, etc. Its a taste that we've seen before so wasn't super unique but still something that goes well with a morning coffee or an afternoon tea. Smoking it was a bit harsh on the throat and heavy on the lungs. It produced a nice, thick, white smoke, really satisfying to exhale. Perhaps it was the high thc (as claimed on leafy) that caused the heavy lungs? Hard to tell. It burned a light grey, darker grey, with 1 spec of bone white ash. What was nice about the burning is the after tasted was a really really nice flower, perfume taste, MUCH better than tasting just dirty ash. The effects were very slow but kicked in immediately. 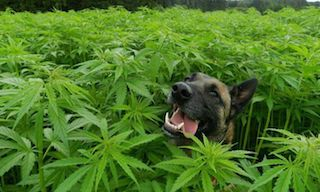 It is a very cerebral indica; you can walk around, do things, but can't really think. It turns you into a zombie without the couch lock. Eventually you get more head-buzz (perhaps the sativa) such as intense focus, hearing affected, some visual changes, but overall droopy, lazy, zombie. 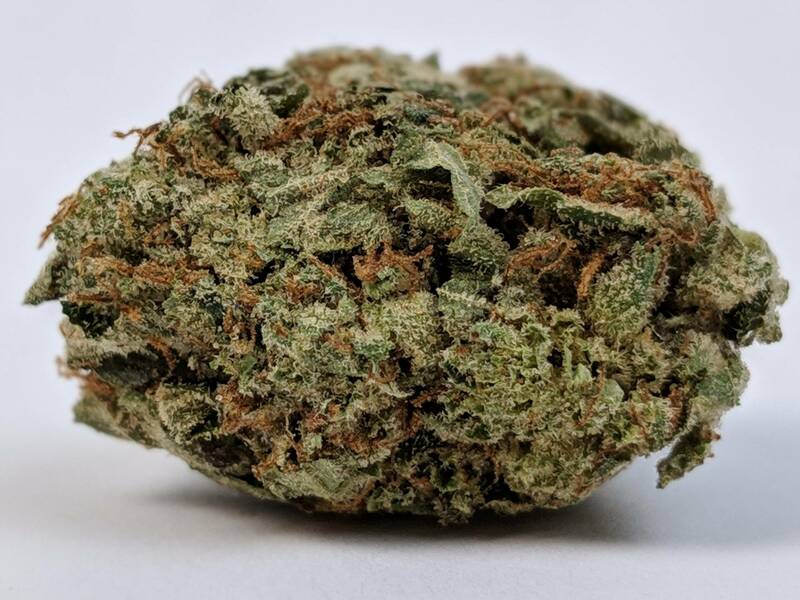 It's a nice indica effects and maintains a medium-high strength throughout. I would give this 4/5 just because it wasn't labeled as a AAA and was a bit harsh, but on all other fronts (bag appeal , vape, and some taste in the pipe) it was a good diesel bud and something that I would take when my other diesels run out.